Our goals include providing quality, comprehensive, patient focused care to improve the lives of the members of the communities we serve. We are the only facility in our area to provide the services of a board certified plastic surgeon, a certified physician assistant and a licensed esthetician in one office to achieve exceptional results. This comprehensive care allows us to offer you a wide range of services. Whether hand surgery, exams to evaluate for skin cancer, cosmetic surgery, or a spa treatment, we are ready to serve you with a friendly and qualified staff. 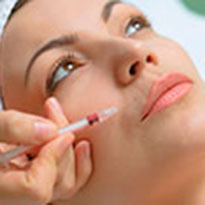 Plastic surgery has increased dramatically in popularity over the past 10 years. With this increase in popularity, attitudes have changed as well. Fewer people are growing older gracefully, while more and more are accepting the cosmetic surgery alternative. Our goal is to help you look and feel your best. We want you to achieve your desired result through surgical and/or non-surgical treatments. 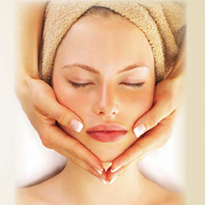 customized solutions tailored for each individual to help meet all their skin care needs. Dalton Medical Spa, located within Dalton Plastic Surgery medical facility, is not only able to pamper you with elite spa quality products, but we provide services that are complicated enough to require the supervision and expertise of licensed health care professionals.